Title and statement of responsibility from cover. Llama Llama ZIP! Llama Llama ZOOM! Llama Llama Red Pajama VROOM, VROOM, VROOM! On the playground, Llama goes fast! Llama zips by on his scooter and swishes down the slide–whoosh! Younger audiences will love doing as Llama does in this supremely adorable fourth board book. Babies wear themselves out moving and playing. Presents the lyrics to the nursery rhyme along with illustrations featuring children acting out the motions indicated by the song. On board pages. An illustrated version of the song which identifies parts of the body. On board pages. Feast your eyes on the latest split-page board books from Eric Carle. In the sumptuous My Very First Book of Food, children can match each animal with the food it eats. Do you know what a squirrel eats? How about a seal? In My Very First Book of Motion, children can match each animal with the way it moves. Which animal hops? Which one waddles? Only you can match them. 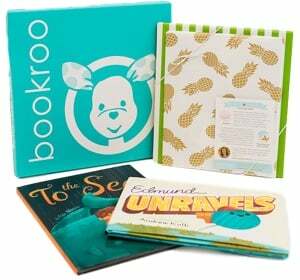 These fun books are full of bright animals, and are lots of fun for young children. Grab hold of this book that lets you steer a race car that's revving up to win the big race! This is going to be a tough race. . . . There are a bunch of speedy cars already ahead of you! You're coming up to a blue car there on your right. Speed up and then swerve into the lane to get ahead of him! Put on your seatbelt and your helmet-it's time to drive a race car! Kids will love using the die-cut handles in this novelty board book to control the race car to steer through the track around cars and into other lanes to try and win the big race!